Around this time last year, Gary Payton fans were treated to a re-release of his shrouded Zoom Flight 98 “The Glove” model. It was a welcome return, but we’d like to see the Swoosh dig even further into the vaults and take some inspiration from a memorable Air Zoom GP colorway. This model, the first to bear the “GP” initials, was released in ’99 and carried over the closed-lace system of the Zoom Flight 98. 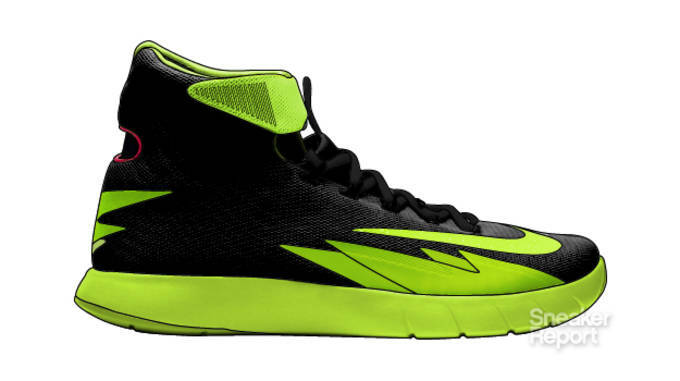 For this rendition, keep the black base with strong hits of neon, capped off by a touch of red on the heel. The original Dunk High from 1985 wasn’t the first Nike Basketball sneaker, but it may very well be the most memorable. That year, Nike launched the “Be True To Your School” campaign, which saw the Dunk High take on the colors of 7 of the NCAA’s top teams, including Kentucky. 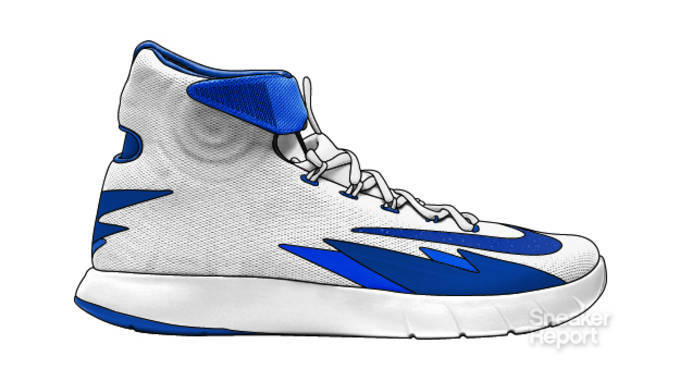 This clean white and royal blue makeup would help to bring a touch of history to the tech-heavy HyperRev. The Air Foamposite gets a lot of attention, which makes it easy to forget that its sequel, the Air Flightposite, was actually lighter, quicker, and an all-around better performer on the court. Nike’s iconic “Eggplant” colorway was birthed here, but we’d like to see a modern take on the flowing “Metallic Gold” upper. Whose jerseys were these supposed to go with again? Ever since the Flight Huarache in 1992, Huarache tech has played a big part in many of Nike’s basketball offerings. Many diehards would argue that 2004’s Air Zoom Huarache 2K4 is the best of the bunch, with its springy cushioning, supportive ankle collar, and extra-resilient traction. What better way to pay tribute to a Zoom Air legend than to borrow the lasered “Lakers” pattern from this Kobe classic. In 2001, Sacramento Kings’ guard Jason Williams pretty much single handedly made the Zoom Hyperflight one of the hottest hoops shoes of its time. Unsightly creases led a lot of players to give up on the glossy model, but the true ballers knew it was one of the Alpha Project’s best creations. 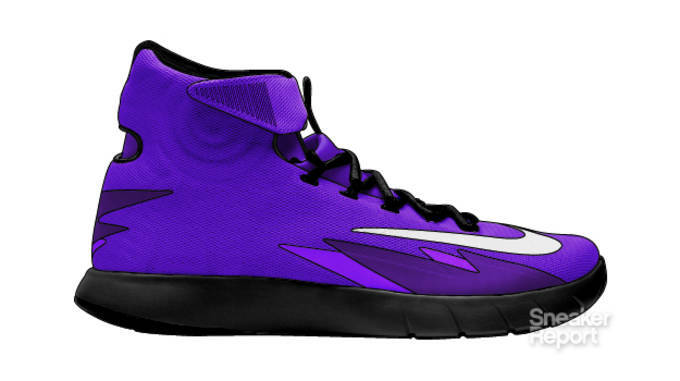 Its retro didn’t exactly fly off the shelves, but applying its purple hue to the Zoom HyperRev might have better results. In 1999, Zoom Air went visible with the Vis Zoom Uptempo. This futuristic model, which was worn by players like Reggie Miller and Alan Houston, didn’t need a superstar endorsement or flashy colorways, it was all about tech. 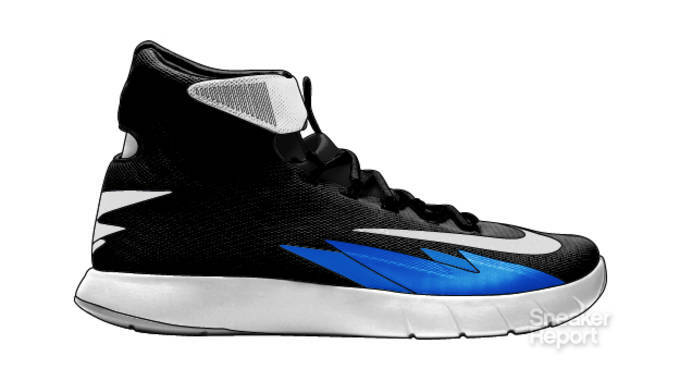 15 years later, the black, white, and royal makeup would work well on the Zoom HyperRev. Many of the Zoom Kobe V colorways had an easily recognizable theme; Dark Knight, Bruce Lee, and so on. However, there was one that stood out from the bunch. With its seemingly random splashes of vibrant colors, the “Chaos” style was in a class of its own. 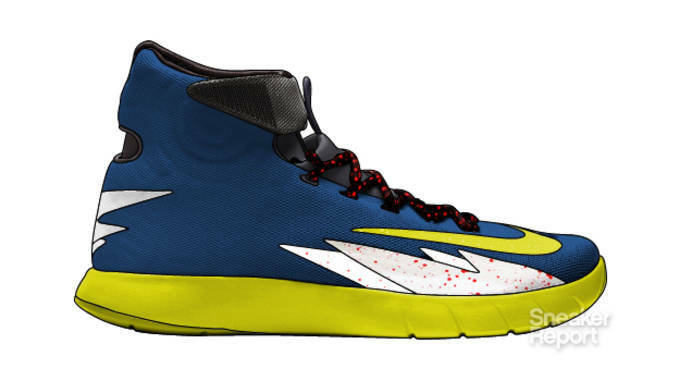 We’d put an emphasis on the navy base, bringing it to life with volt accents and red splatter print. The Zoom Flight 95 is another classic in the Zoom Air archives, revered for both its on-court functionality and striking style. 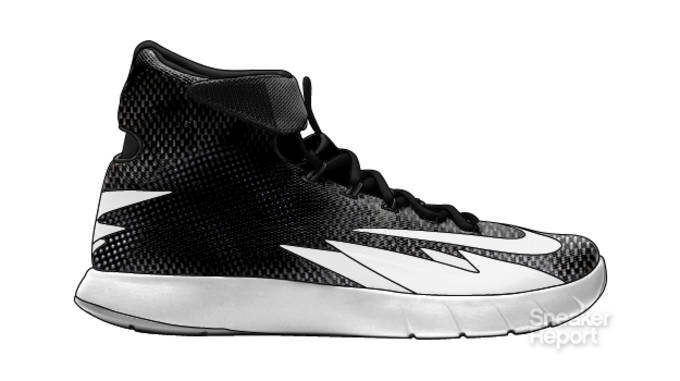 The Carbon Fiber-weave colorway stands as the best of the bunch, and its unmistakable pattern would look flat out awesome on the Zoom HyperRev. Nearly 20 years after the OG, this one would be a perfect tribute. No, not South Beach. Right before LeBron kicked off Miami mania, the teal shade from his “Pre-Heat” colorway adorned the original Zoom Hyperfuse. The Hyperfuse has gone onto become one of Nike’s staple hoops lines, but unfortunately it’s no longer associated with this vibrant colorway, which was released to commemorate the FIBA World Championship. We’d bring it back one last time in the form of the Zoom HyperRev.